WE ARE MAKING A PUSH TO GET AS MANY WRESTLERS AND PARENTS AT THE PAC WRESTLING MEETING ON MONDAY THE 4TH, IN THE ZUMBROTA LIBRARY AT 6:00PM AS POSSIBLE! My goal is to get as many parents and wrestlers signed up on the zm web page as possible! Please encourage any wrestler or parent to attend, especially those who may not be receiving these messages! Free ZM Elementary night a huge success!! We had 26 pre-k through 5th grade wrestlers show up to give wrestling a try last night! Our new wrestling room served perfectly to host this event! The parents were able to stand/sit behind the wall while coaches and wrestlers wrestled on the mats! It was a great night for ZM wrestling! Author linksteffenPosted on October 29, 2013 October 29, 2013 Categories YouthLeave a comment on Free ZM Elementary night a huge success!! zm YouthWrestlingFlier – final draftPlease encourage any elementary aged kid to give wrestling a try! This night is designated to those kids who never wrestled or quit wrestling and want to try it again. Our goal is to present a comfortable and nonintimidating environment to these first timers! 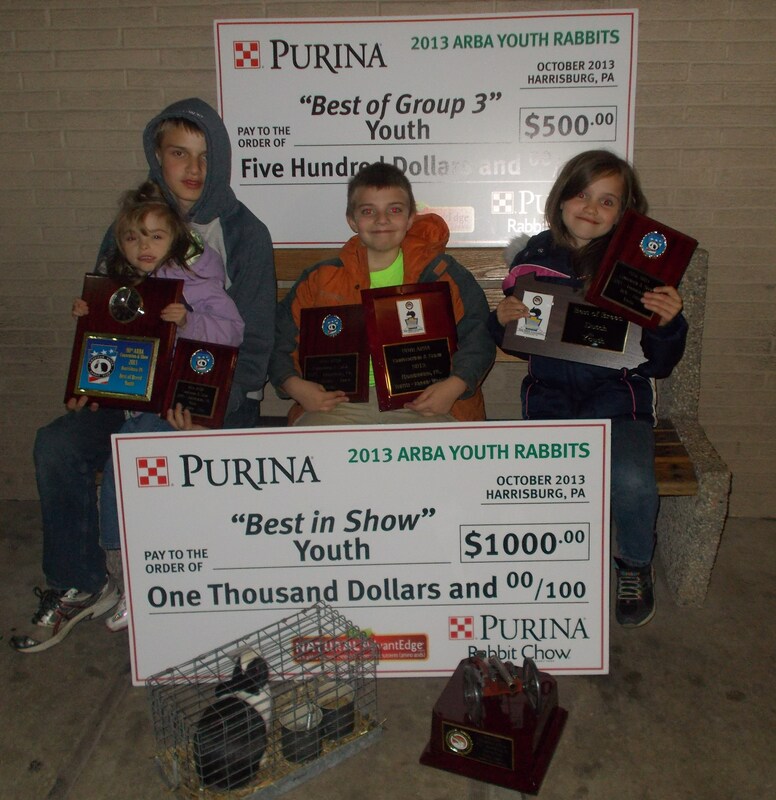 Macallister showed his rabbit at the National Rabbit show in Pennsylvania this past week. He won the whole thing! (that is like the equivalent of winning Best in Show at the Westminster Dog Show or Outstanding Wrestler at the NCAA’s). Macallister was Best in Show at the 90th American Rabbit Breeders Association National Convention out of 5,200 rabbits! He was the first one in history to win with a Steel Dutch rabbit! Author linksteffenPosted on October 25, 2013 Categories AnnouncementsLeave a comment on Congratulations to Macallister Bengtson!!!! Preseason nationals Info! Table workers and clinics..
Preseason Nationals tournament information! We have 8 signed up already!!! Hurry as space is limited! If you have already signed up you are good to go! WE NEED TABLE WORKERS. We pay you $40 if you work the entire day. You will also receive free admission into the tournament, a free T-shirt and access to the hospitality room all day. (Pizza, Subs, hot dogs and drinks)If you are interested, please email me which day you would like to work, your full name, email address and phone number. Please indicate that you would like to work a table. Below are two clinics being offered at Preseason Nationals. Great opportunities and cheap from Ken Chertow!! U.S.A. Olympian Ken Chertow will be conducting two unique clinics in conjunction with the USAW Cliff Keen Preseason Nationals at the UNI Dome. This is a great way to make your trip to our event even more beneficial. Ken Chertow is a 3x NCAA All-American and 3x Academic All-American for Penn State and his Gold Medal Training Camp System is recognized as one of the finest in the nation. We realize that youth and middle school will be competing Sunday so techniques covered will be low impact and the clinics will be designed to improve your performance while not wearing you out. Teens will be done competing so this is a tremendous opportunity to add important techniques and skills to your repertoire. ALL ages are welcome at both clinics. Fee is just $20 or $30 for both. Parents and coaches are welcome FREE at our Chertow Gold Medal Clinics and you are welcome to videotape. All participants will receive a free poster and Coach Chertow will be available after the clinic to sign posters and visit Saturday night and Sunday morning following the clinics. This clinic with Coach Chertow will begin after the youth weigh-ins conclude and the teenagers’ competition is winding down or over. Focus will be on skill development for both teens and youth, as well as preparing youth for Sunday’s tourney. We will not wear you down prior to competing. On the contrary, we will help youth prepare for Sunday’s big event, while helping teens add important techniques that will help them throughout this season and career. Focus will be on mat wrestling and counter attack takedowns and turns. We will go easy on your legs. Topics covered will include: tilt series, scoring from bottom, Ninja roll, Snake and Twister Series. Whether you are a teen looking to diversify your arsenal or a youth looking to be well prepared to excel Sunday, this clinic is for you! The focus will be on High Percentage Takedowns. Multiple series and combinations will be covered including: Slide By, Pull By, Throw By, Arm Drag, Duck Unders, Chain Wrestling, and Misdirection Attacks. Your first match of the day is often the toughest one to get warmed up for, so this eliminates this challenge for youth, while providing teens with a great technique clinic. Author linksteffenPosted on October 24, 2013 Categories High School, YouthLeave a comment on Preseason nationals Info! Table workers and clinics..
7-12 wrestling practices this week and next! Dakota Stensland will be running 4 practices this week and next! Practice: This practice will incorperate conditioning and technique…be prepared to work! Tony Stensland will be the adult onsite. Author linksteffenPosted on October 21, 2013 October 21, 2013 Categories High SchoolLeave a comment on 7-12 wrestling practices this week and next!